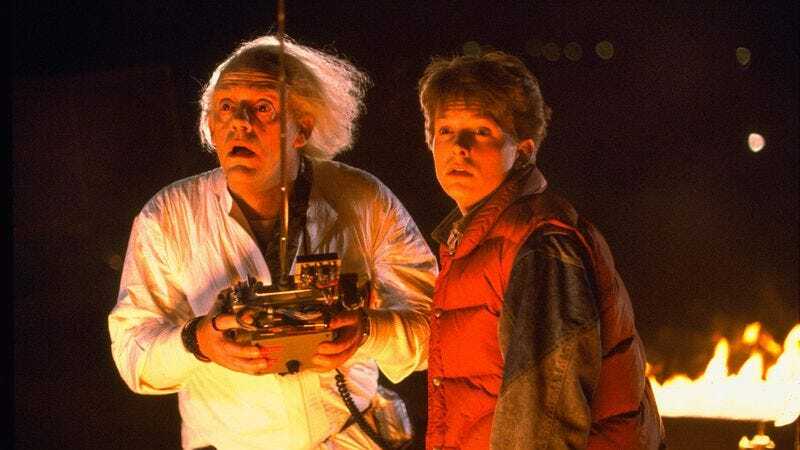 In a fairly obvious bit of stunt casting, Christopher Lloyd will be bringing 1.21 gigawatts of star power to Michael J. Fox's eponymous sitcom. Fox spilled the beans on Twitter yesterday, and NBC confirmed that Lloyd will appear in at least one episode in the spring, playing the principal of the school where Fox's on-screen wife Betsy Brandt works. NBC is playing coy about the storyline, which could potentially involve Lloyd traveling back from the future to warn Fox he'll soon be fired via multiple fax machines, after NBC finally finishes in the ratings behind The Weather Channel and goes out of business. Or maybe there'll be some shenanigans in the Old West for no reason other than that it seemed fun.